The Official Bulletin of the Region of Murcia (BORM) today publishes the announcement of the Railway Infrastructure Administrator (Adif) by which the construction project of the AVE Murcia Mediterranean Corridor platform is submitted to public information for expropriation purposes. Almeria, in the stretch Sangonera-Lorca, which affects its passage through the municipality of Totana, as reported by the councilor for Urbanism, Carlos Ballester. The mayor explained that the new project includes a small change with respect to the year 2012, so that a curve is softened upon arrival to Totana to travel with greater speed, so that correction may affect new owners of land. Ballester has informed that now a period of public information is opened, of fifteen working days, from the day following the publication of this announcement in the Official State Gazette, on the list of goods and rights affected by the execution of the works defined in this project. From now on, any person can provide in writing the appropriate information to rectify possible errors in the relationship published in this announcement or oppose, for reasons of substance or form, the need for occupation. The councilman of Urbanism has invited all possible affected or owners likely to be affected by this modification of the project to go to the Department to request more information and know first hand the status of it. 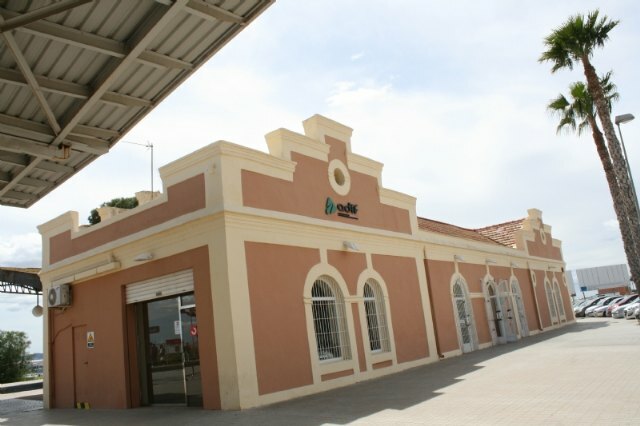 For this reason, the documentation of expropriations of the aforementioned project can be examined, in days and business hours of office, in the Government Delegation in the Region of Murcia (Avenida Alfonso X el Sabio, 6, 30008, Murcia), in the Directorate Adif High Speed â€‹â€‹Projects (C / Titan, 4 and 6, 28045 Madrid) or in the municipalities of Murcia, Librilla, Alhama de Murcia, Totana and Lorca.